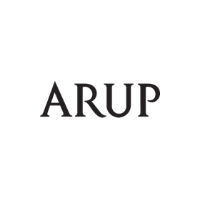 Working across every aspect of today’s built environment Arup is a world leader in design and engineering, employing more than 14,000 people across 34 countries. From the start, creating shared value for society while making a profit for its people has been at the forefront of Arup’s decision making. Shared value filters through its overarching strategy to its day-to-day business. Arup is acutely aware of its responsibility in designing and positively influencing the built environment as it strives to find a better way, and shape a better world.